You'll find plenty of places to visit near Perth: Fremantle (Fremantle Prison & Fremantle Markets) and Caversham Wildlife Park (in Whiteman). Dedicate the 12th (Thu) to wine at some of the top wineries in the area. On the 14th (Sat), give your taste buds a day to remember with a local gastronomic tour. 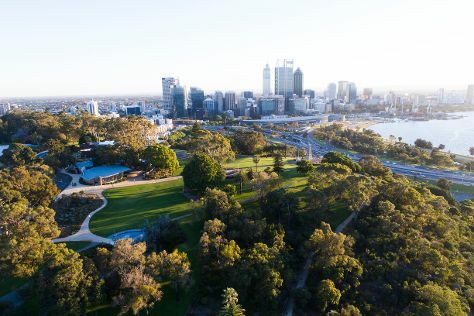 And it doesn't end there: take in nature's colorful creations at Kings Park & Botanic Garden, take in the views from Elizabeth Quay, pause for some photo ops at Kings Park War Memorial, and learn about wildlife with up-close encounters at Perth Zoo. For photos, other places to visit, more things to do, and more tourist information, read Perth trip itinerary builder app . If you are flying in from Malaysia, the closest major airport is Perth International Airport. In September, daily temperatures in Perth can reach 24°C, while at night they dip to 9°C. Cap off your sightseeing on the 14th (Sat) early enough to travel back home.